Computer Aided Facilities Management or CAFM is the term used to describe the use of one or more integrated software systems that allow an organisation to organise and catalogue assets in a database. The database is the central core of the CAFM system and allows multi hierarchal systems to act upon and select the data to drive useful information systems and processes critical to the core business function. Air Conditioning and Refrigeration Service is a perfect example of an industry that can lever the potential of CAFM. The high number of assets involved and the on site nature of their maintenance make it voracious consumer of man hours. Costs saving opportunities are few and far between so small savings in fixed processes are obvious targets to save money and time. Our research into costs attributed to the use of paper and pen versus mobile digital asset capture and service record generation threw out some interesting results. The average small Air Conditioning service business can service at least a thousand AC assets in a year. 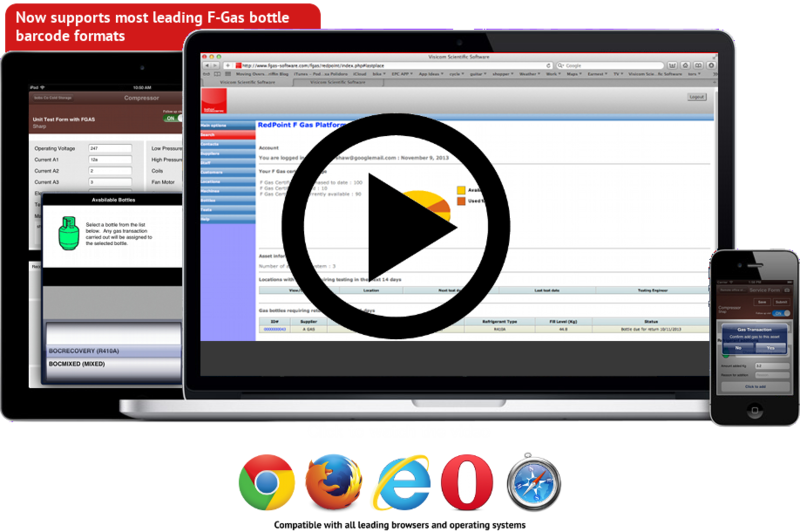 A typical F Gas and service sheet would contain anything upto 30+ fields of specific information. Roughly that is 30,000+ fields of text (100,000 words) to hand write onto paper. Those same 100,000 words are then typed across to another system when an engineer gets back to the office, and by this point there is no real database as such in place for all that effort! Just duplication and time wasted. The average unskilled typist manages just 19 words per minute when composing text! 100,000 words / 19wpm = 5263 minutes 5263/60 minutes = 87.7 Hours spent typing up information from written service forms. Another way to put that is around 5 and a half minutes to process a single service form from paper to spreadsheet. The average wage of a HVAC and Refrigeration engineer is £10.57 or approx. $16 USD. So with the above in mind, paper and pen is costing your Air Conditioning service business AT LEAST £926 to $1398 USD a year for a single busy service engineer. That equates to approx. £0.92p or $1.39USD per asset serviced. Add further to that the cost of errors, lost paperwork, return visits etc and we can see the cost keeps growing. If that sounds realistic to you, then clearly there is some room for improvement? Any size of HVAC business can move to a paperless solution and realise huge savings and improve their image to customers and reduce carbon usage and waste. 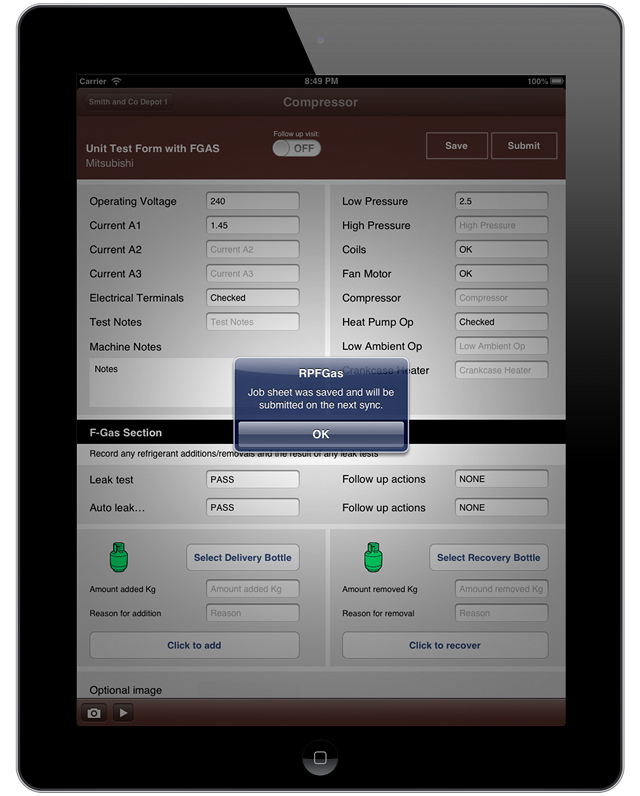 RP F Gas is the clear standard in multi device and cross platform service software. Offering what we believe to be the most simple to calculate cost per use available today. 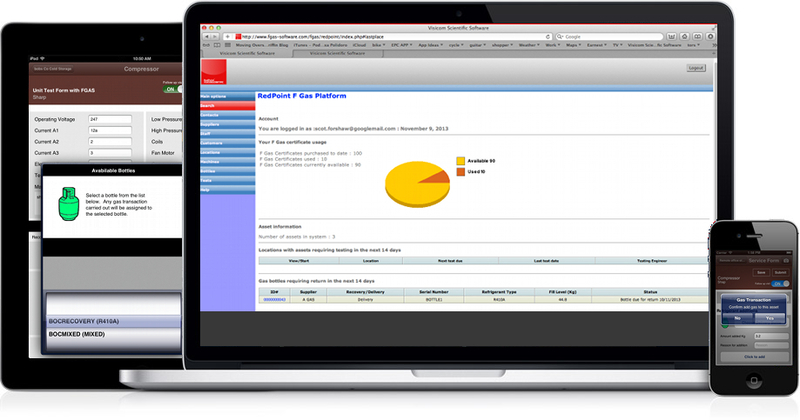 Built on some of the industries most powerful cloud computing platforms for seamless scaleability, RP F Gas Software is managing, protecting and helping service teams nationally to deliver cost reductions and improved efficiency. Backed by a growing number of international distributors including HVAC trade counters who can help and advise you on how to get the best of your system and keep you upto date with the latest developments.